HACCP approved! 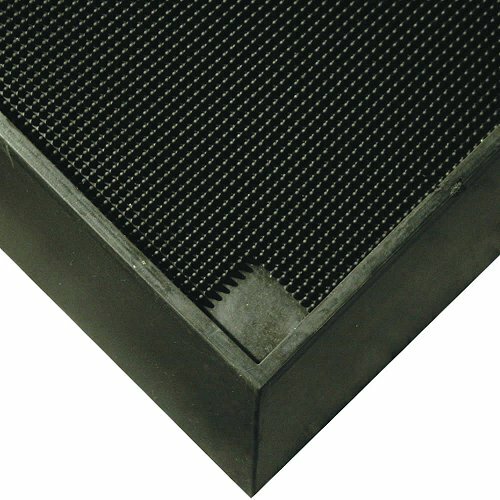 This matting meets safety standards for all food production areas. The well can have water, detergents and disinfectants in it to ensure the washing of the bottom of your shoes before entering ‘clean areas’. 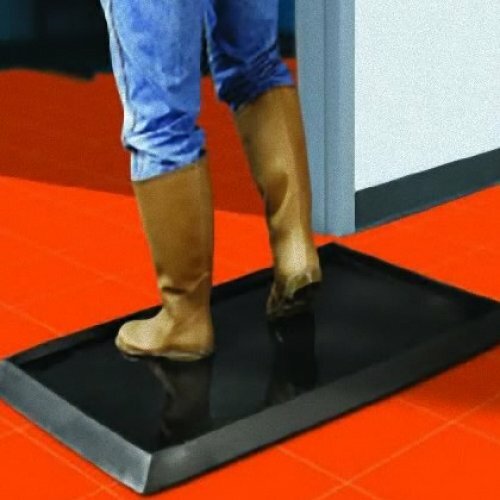 Also known as ‘Boot dip mats’ they are also used in farming and manufacturing industries to stop cross contamination. 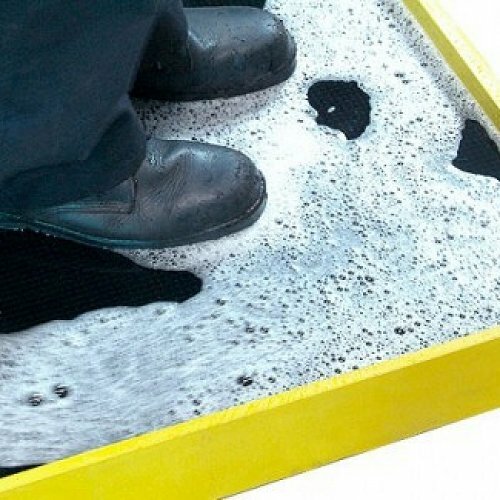 The inside of the mat is made of hundreds of pliable rubber scrapers that dislodge contaminants and the walls of the mat come in 13mm and 50mm and black and yellow borders for extra safety features. The health inspectors will love you!